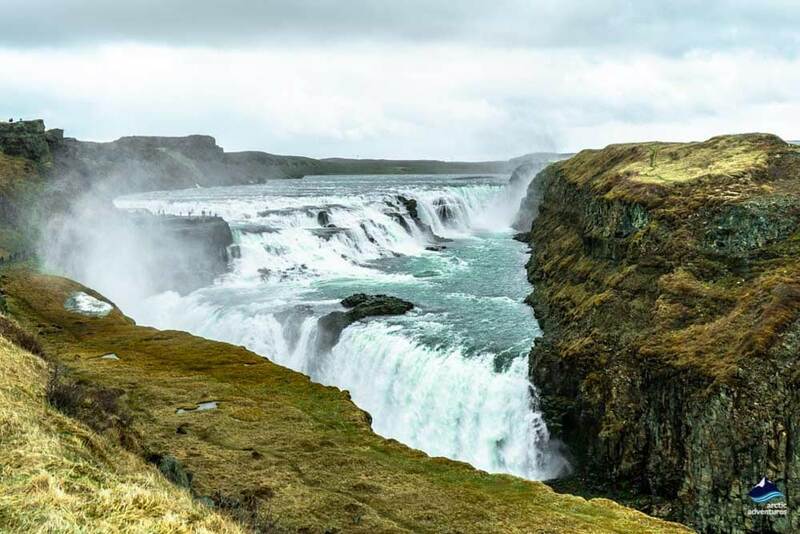 Gullfoss waterfall is one of the most stunning and best-known sights in Iceland and is one of the three main landmarks of the Golden Circle. 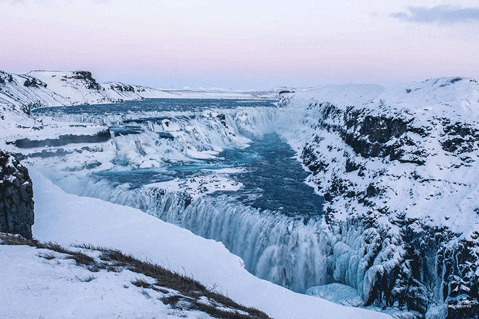 The name Golden Circle is even taken from its name as Gullfoss translate the Golden Falls or the Golden Waterfall. 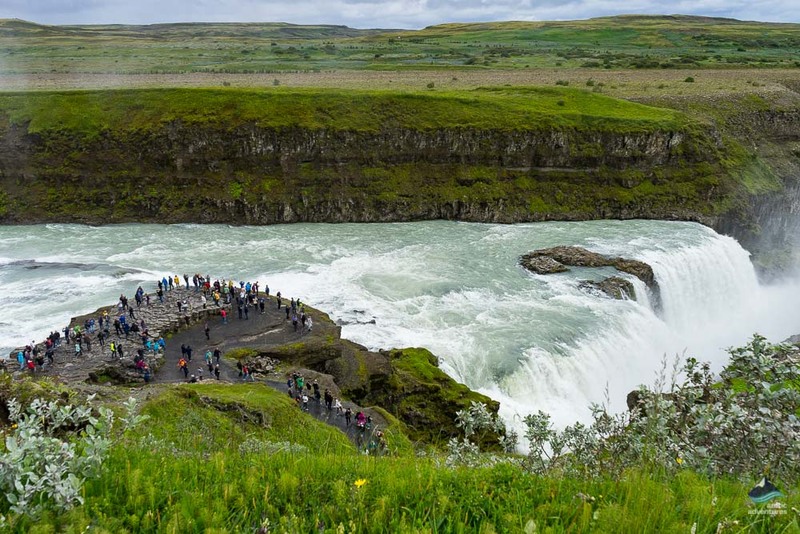 How to get to Gullfoss waterfall? 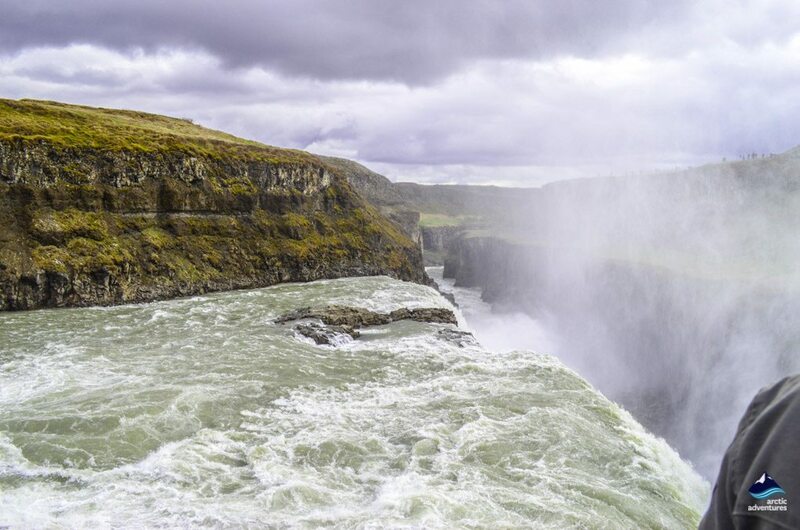 Gullfoss waterfall is listed as one of the top 10 waterfalls in the world by World of Waterfalls. 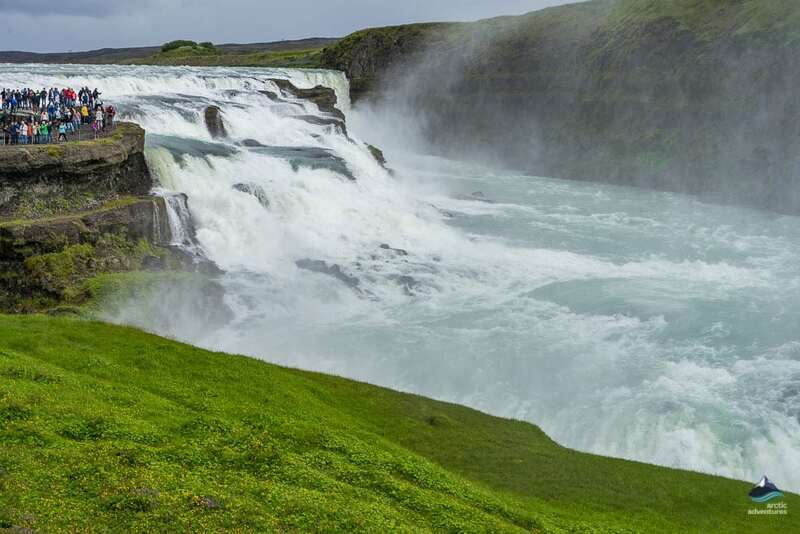 The mighty Hvítá (White River) is a glacial river flowing southward straight from Langjökull (Long Glacier) giving Gullfoss an awesome flow rate. In the summer when the supply of meltwater from Langjökull is particularly abundant this rises to an average of 140 cubic meters per second. The highest flood flow rate ever measured here was an extraordinary 2,000 cubic meters per second. The waterfalls drop a total of 32 meters in two stages as it flows through the rugged, at times 70 meters high, canyon. About a kilometer from Gullfoss the river turns very sharply to the right where it flows down through a dramatic, wide canyon before the vast volume of water is very powerfully forced into a narrower channel. 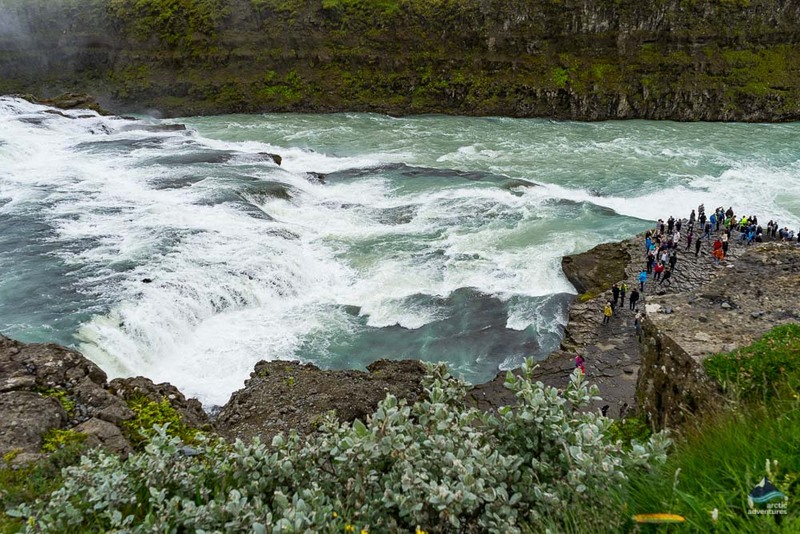 Gullfoss plunges in two dramatic stages, the first cascade drops 11 meters and the second drops 21 meters. This waterfall has a very important place in the hearts of most Icelanders. Not surprisingly, the potential to utilize the colossal hydro-electricity generating potential has created something of a bi-polarity between those who wished to exploit this site and those who wanted it to be preserved. The well-known poet and lawyer, Einar Benediktsson, supported exploitation and local farmer’s daughter, Sigríður Tómasdóttir, was determined that Gullfoss be preserved. Some say she even threatened to throw herself down! There is a stone memorial to Sigríður above the falls. 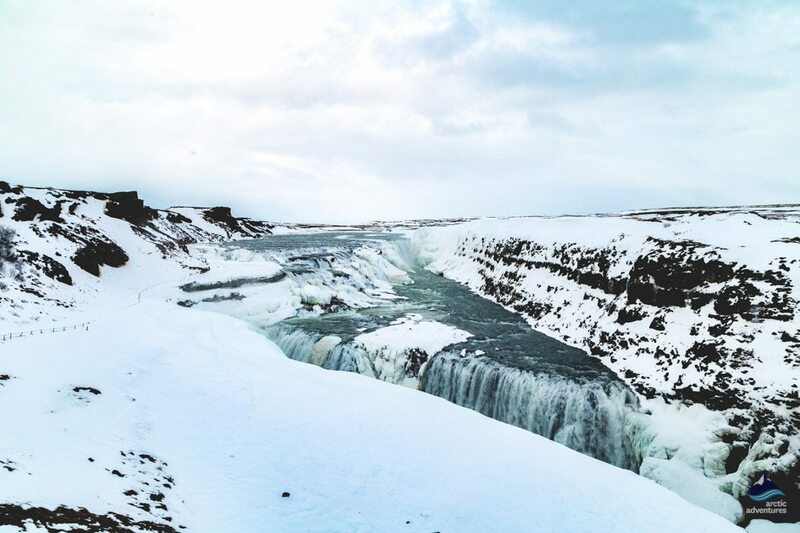 There are higher waterfalls in Iceland but a chance to witness the sheer power and grandeur of Gullfoss is something no one should miss. 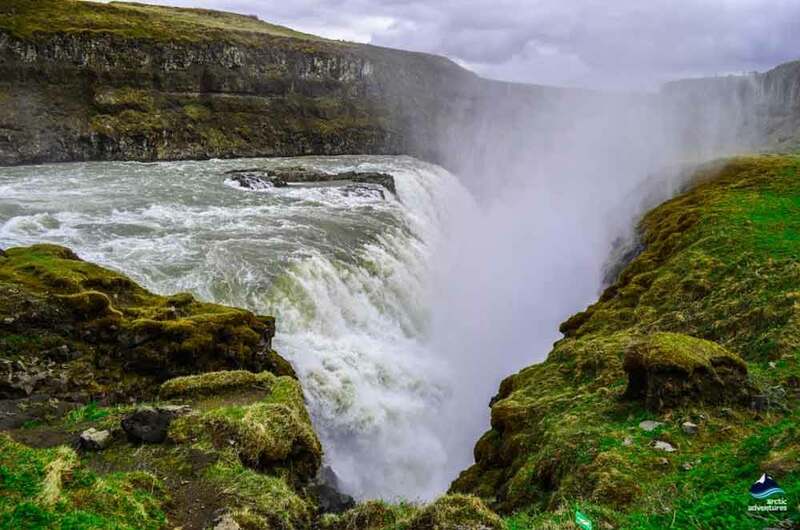 To trace the origin of a waterfall you must trace the river it falls from, in this case, the river is Hvítá, a tremendously powerful glacial river that takes its meltwater from the glacier Langjökull about 35 km (21,7 mi) away. Fun fact, Langjökull also feeds the waterfall Hraunfossar in West Iceland. 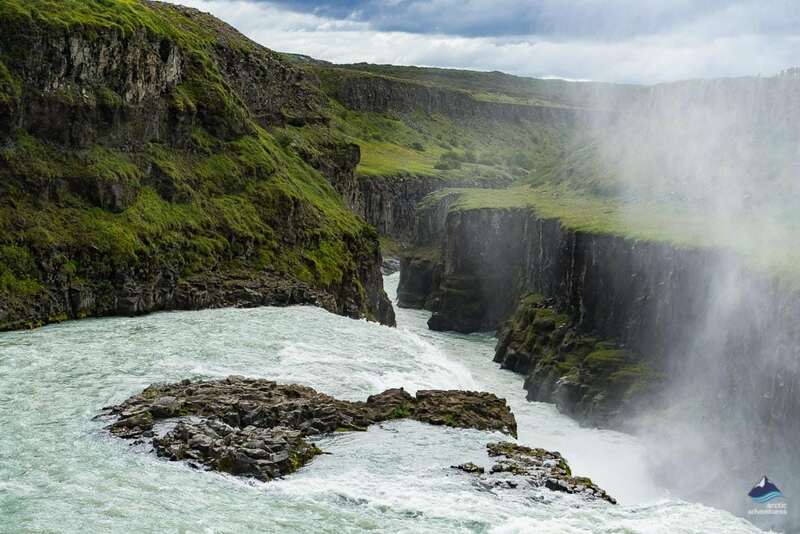 The meltwater from Langjökull glacier, the second largest glacier in Iceland, travels through the highlands and into the canyon above Haukadalur in Árnessýsla before dropping down two stories creating the most magical scene, we today recognize as Gullfoss. 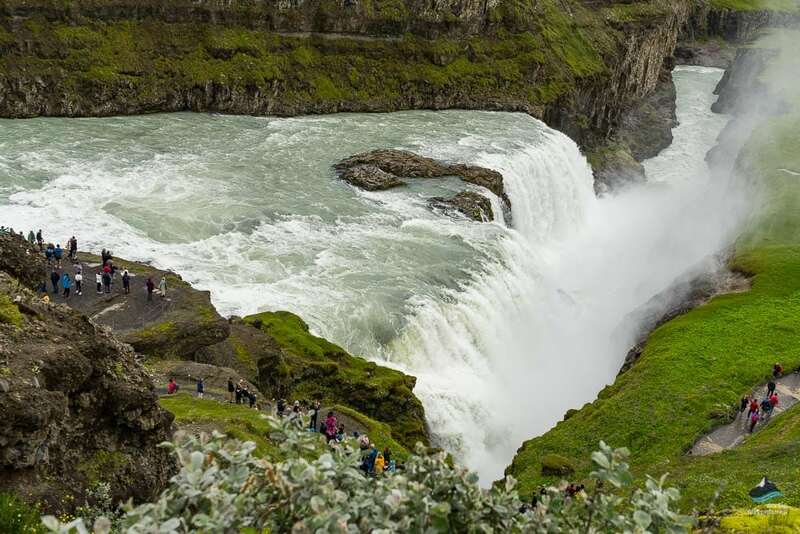 The water then travels further down and into an area of the canyon named Brúarhlöð both a fertile and picturesque location famous for excellent River Rafting rapids. The water in the Hvítá river changes quite a bit depending on the season and meteorologic conditions so it can vary from white, to light brown to a deep blue. 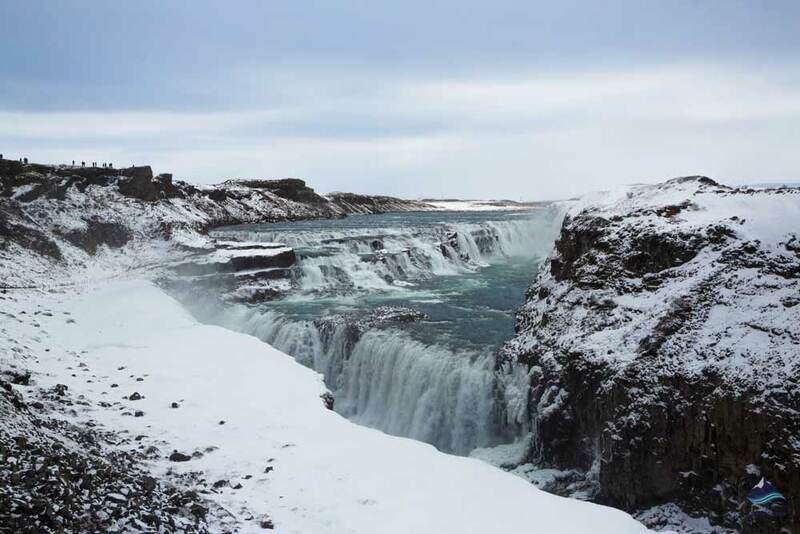 In the early 20th century a discussion was held high in the Icelandic society if Gullfoss energy should be utilized to produce hydroelectric power. This idea met much controversy in regards to foreign investors and their desire to profit off Iceland’s nature, especially by the farmer at Brattholt and landowner of Gullfoss, Tómas Tómasson. He famously said “Ég sel ekki vin minn” or I will not sell my friend when Englishman Howell tried buying the waterfall for 50.000 ISK (451 USD) which at that time was worth 50 times his house. 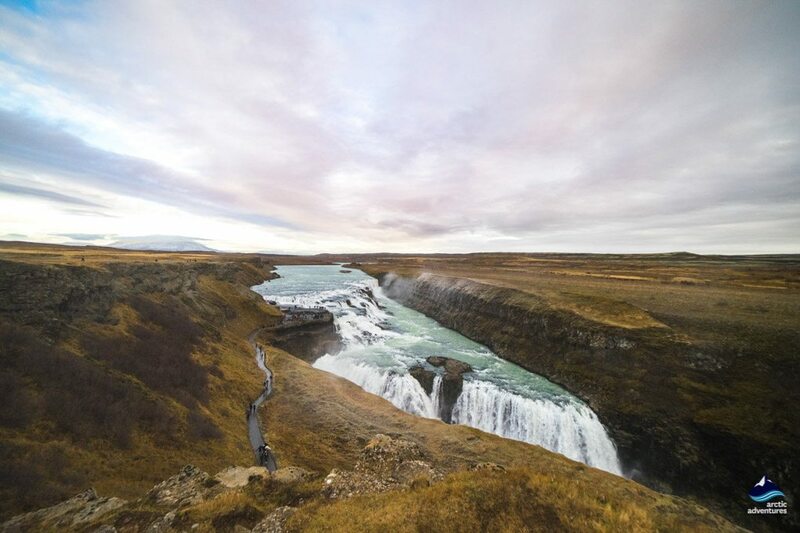 But in the end, the waterfall was rented out to both Icelandic and foreign parties who intended to build a powerstation through a loophole in the rental agreement. 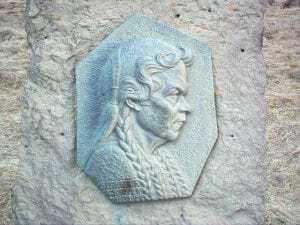 Then Tómas’s daughter Sigríður Tómasdóttir stood up and fought for the preservation of the waterfall going back and forth to Reykjavík on foot vading river and snow to protest and sue the renters and even declared that she would throw herself into the waterfall should it turned into a power plant. But, unfortunately, Sigríður lost her cases in court and all her money with it and the waterfall’s rental agreement was deemed legal. With some unimaginable luck the waterfall still remained the same and was left untouched and in the year 1928 payments for the rent of the waterfall stopped coming in and 6 years later the rental contract was rescinded. In the year 1940 Sigríður’s adopted son acquired the waterfall and later sold it to the Icelandic government. In the years to come environmental protection became more widely spoken off in Iceland and Sigríður has often been named as Iceland’s first environmentalist. 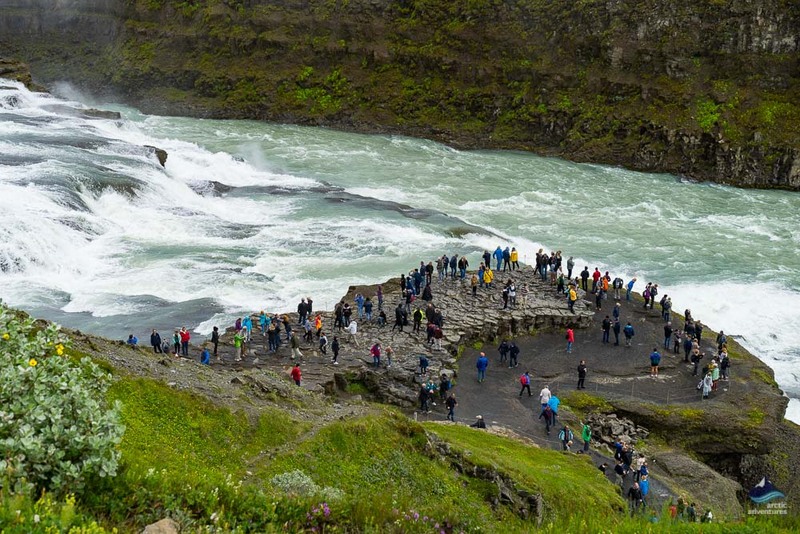 In the year 1978 a memorial stone of Sigríður was put up at Gullfoss and a year later Gullfoss and its environs were designated as a nature reserve to permanently protect the waterfall. The memorial stone is still there today and you can visit it while you are there! Gullfoss is located in the heart of the famous Golden Circle in Haukadalur, South Iceland about 107 km (66,4 mi) from Reykjavík. Gullfoss is only a 10 minutes drive from Gullfoss so together they make the perfect combo as a part of the Golden Circle. Driving from Reykjavík to Gullfoss it is quickest to follow the Ring Road 1 East past Hveragerði and making a left turn before reaching Selfoss, a turn marked Laugarvatn onto road 35. Road 35 will lead you directly to Gullfoss going past Geysir Hot Springs. 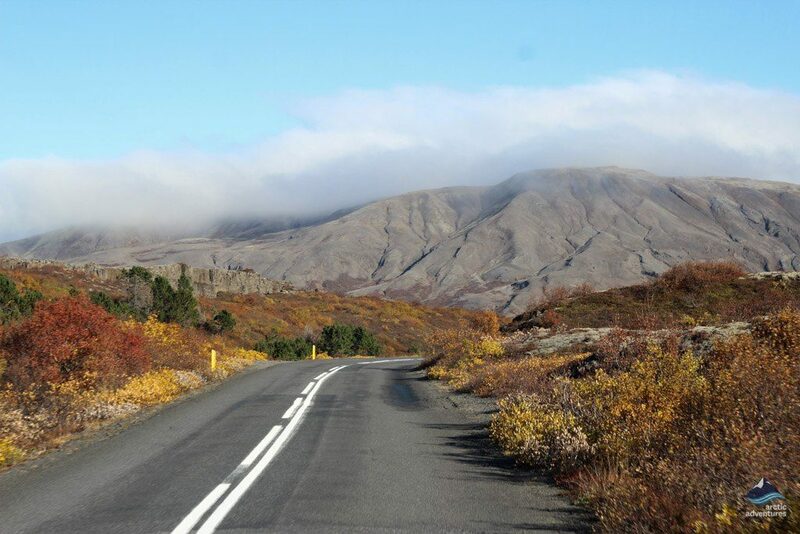 If you are looking to do the Golden Circle on a self-drive tour it is best to start going to Thingvellir National Park and following road 36 East from there to past Laugarvatn and from there past Geysir and to Gullfoss. 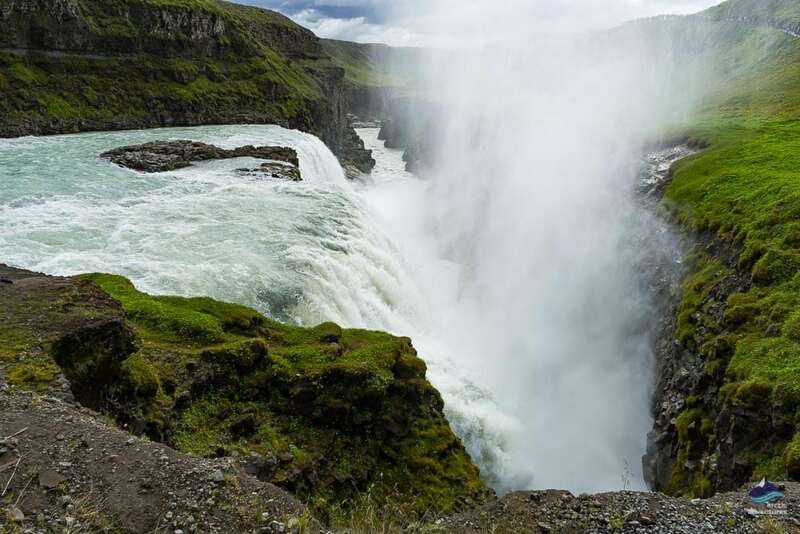 You can also join one of the many Golden Circle tours Arctic Adventures has to offer, visiting the Golden Falls daily. 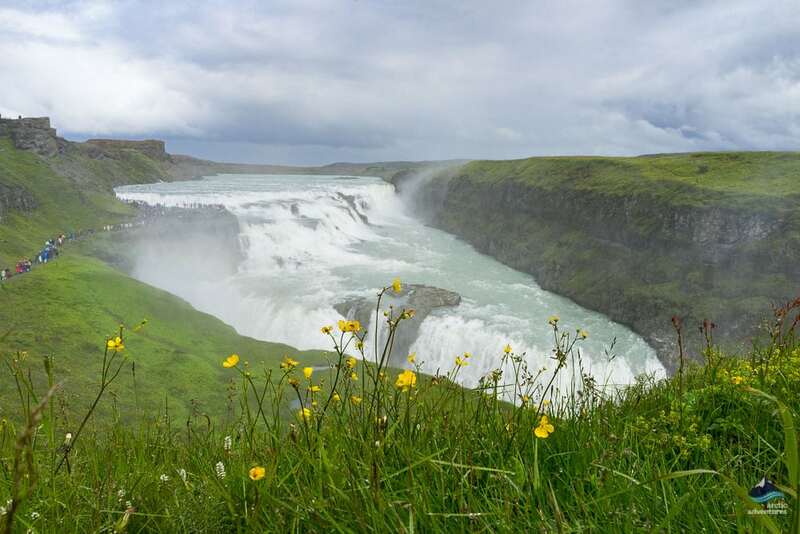 There are dozens of accommodation options around the beautiful Gullfoss waterfall and here we will list a few which will hopefully help with your traveling in Iceland. 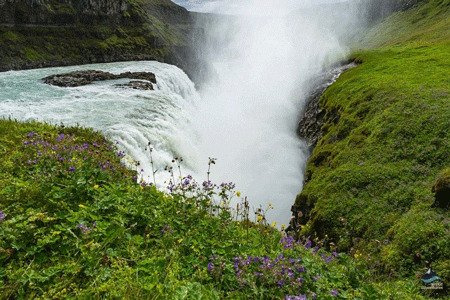 There are few camping grounds near Gullfoss waterfall that are excellent and well equipped. The closest is Skjól Campgrounds located in between Gullfoss and Geysir, the camping ground is big with electricity and free wifi! There is a hostel, a café and a bar on location. The next one is at Geysir and there you can enjoy the view of Strokkur and its endless source of exciting nature shows. There you have showers, toilets and all the standard camping ground facilities including a kids playground. Flúðirthen also has a great camping ground, popular with locals. 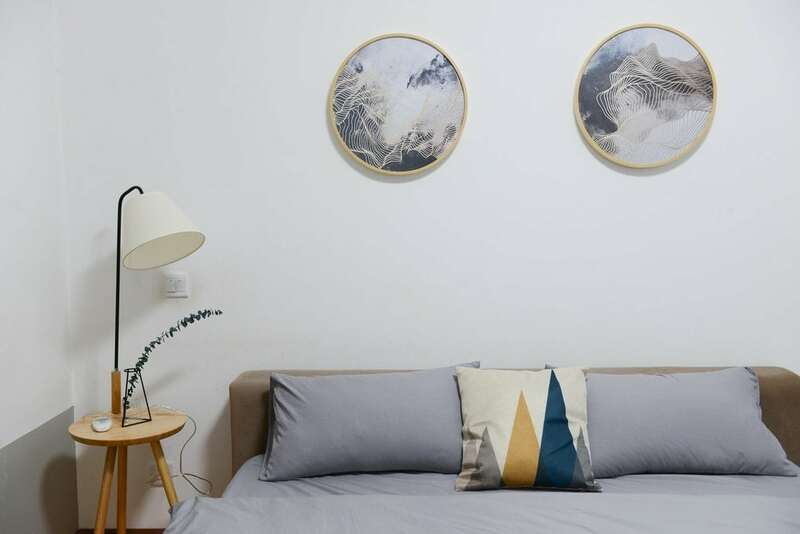 Located at the banks of the river Litla-Laxá it is well equipped and with a lot of exciting things to check out in only a walking distance. 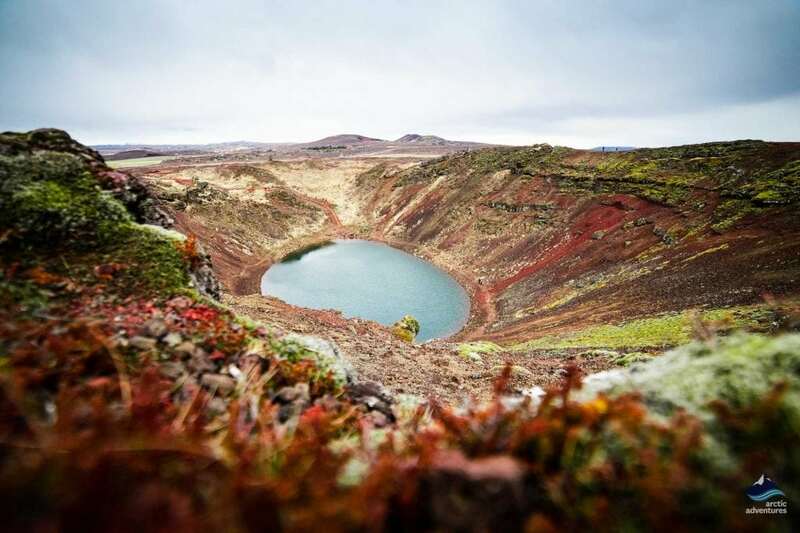 Flúðir is known for geothermal energy and being a home to many greenhouses. 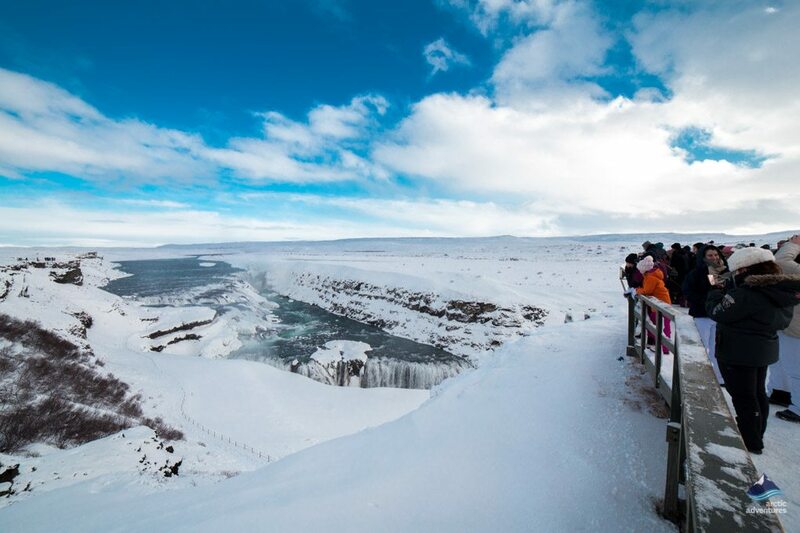 Gullfoss is gorgeous in winter but driving there can be quite icy so if you aren’t used to driving in those sort of condition you might want to consider joining a Golden Circle tour where an experienced driver will take you. Once there the paths to and around the waterfall can be slippery so it is definitely recommended to wear sturdy shoes, preferably with ice spikes. 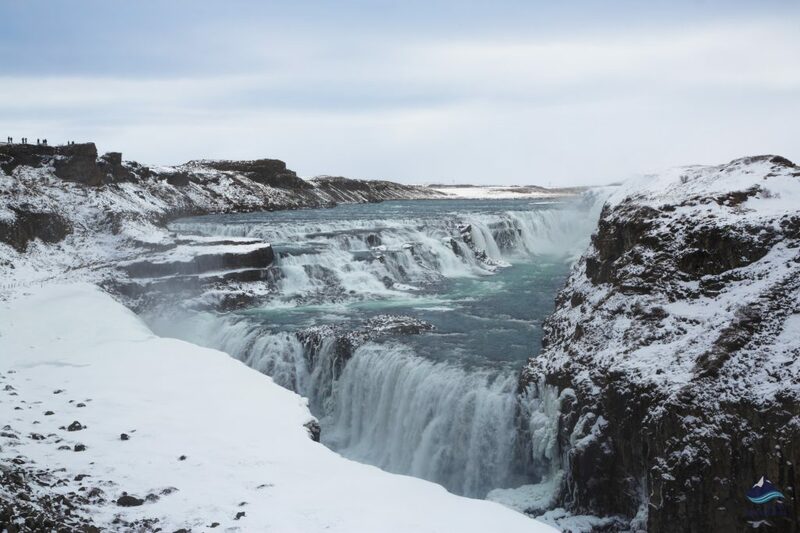 As Gullfoss is located quite far inland and high above sea level it can get quite cold there so if you are feeling cold go inside the Gullfoss café for a nice bowl of hot Icelandic lamb soup or a hot cup of cocoa it will warm you right up! Land Ho! (2014) a heartwarming comedy about two ex brothers-in-law that are looking to reclaim their youth and do so by going roadtripping in Iceland. 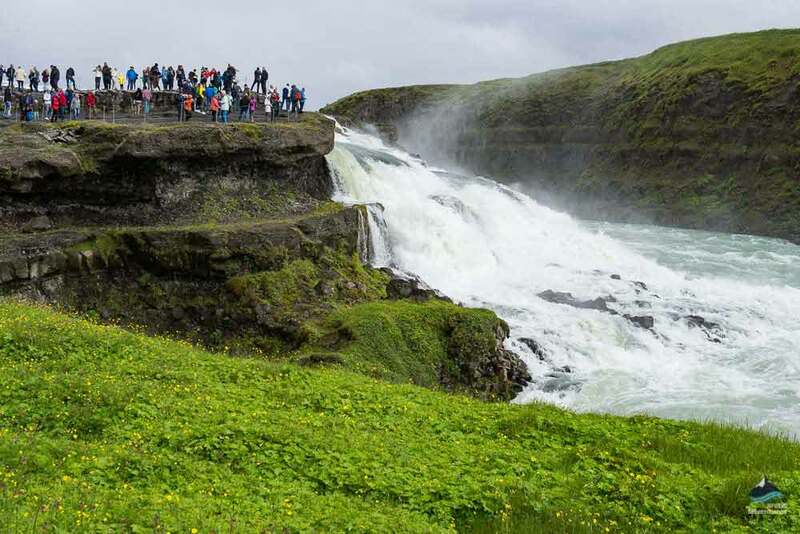 Gullfoss is one of the many stops they make, but the list also includes the popular spots, Jökulsárlón, Landmannalaugar, Blue Lagoon, Geysir Hot springs and Skógar. Live – Heaven (2009 )Gullfoss is featured in the music video for the single “Heaven”. 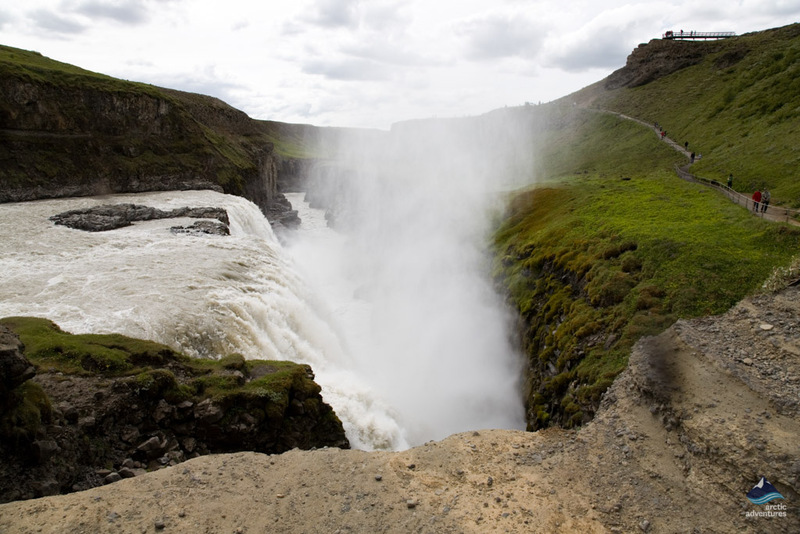 In the video, two Icelandic actors are seen walking at separate banks of the waterfall and Hvítá River trying to get to each other. After having walked further down the canyon the guy jumps into Hvítá river near Brúarhlöð and she jumps in after him, at the end of the video they are seen floating down the river. Please don’t try to create a remake, a glacial river isn’t the warmest spot you can swim in.